As an editor, you are expected to be a native speaker of English with a good, professional working knowledge of English language, grammar, usage, punctuation and standard editorial conventions as laid out in New Hart’s Rules. Ensured that figures and illustrations are appropriate and correctly labeled and captioned. Used Word’s track changes (or the equivalent in other word processors) on all work done. Removed all unnecessary words, and used the simplest words and language possible. Raise queries about legal issues such as permissions or libel. The text should be logical, and a reasonable line of argument or progression of thought should be followed. If this is not the case, note the problem. Where substantial restructuring is needed, suggestions can be made (if solutions are obvious); otherwise, it is sufficient to flag. Multi-author works: ensure consistency within chapters or sections; overall consistency between chapters may not be viable. Does the contents page match the text? Are running heads and footers correct? Are headings at the correct level? Do captions match the figures? Do figures tally with text mentions? Do references tally with text mentions? Have all undue repetitions been eliminated? Full points with lower-case abbreviations only, no full points with upper case abbreviations or contractions. But no full points with units of measurement (see also ‘Numbers and units’). Examples: kg, mph, 10 m/s2 (one exception: in.). Words to be abbreviated should appear in full with the abbreviation in parentheses at the first mention. Example: He was a keen supporter of the Royal National Lifeboat Institution (RNLI). If the abbreviation is very well known to the intended audience, it won’t need defining. Examples might include: BBC, UN, NATO, DNA, RNA. Use in company names only when the company itself does so. Where possible use generic terms rather than a specific. Examples: vacuum cleaner not Hoover, sticky notes not Post-It Notes. Avoid the trademark and registered trademark symbols ™ and ® unless the context absolutely requires their inclusion. ® is always superscript without a preceding space. Capitalise the first word of a quotation if it is a complete sentence. Do not capitalise words unless strictly necessary. Capitalise geological epochs, recognised historical periods, religions, etc. Examples: the Tower of London, the Ritz, the Cretaceous, the Middle Ages, Sikhism. Capitalise a short-form mention of a previously mentioned organisation, place, etc. Example: The Ministry of Justice … the Ministry. Recognised geographical names are capitalised. Examples: the City of London, South Africa. But note, for example, ‘Durham city’ and ‘south Oxford’: only capitalise north, south, east and west if parts of an established place name. General job descriptions such as managing director, trustee, chairman use lower case, Example: the managing director of ASDA. Titles and ranks are generally lower case unless used before a name or as a name. Examples: the queen of England, the bishop of Winchester, but the Louis Pasteur Professor of Endocrinology. Adjectives derived from proper names are capitalised. Use numerals for currency and close up the symbol to the numeral. Examples: £1.00, €20, $5 million. If a currency is unfamiliar to the target audience or could be ambiguous, the symbol is preceded by the capital letter (or letters) of the country concerned. Examples: A$5 (Australian), C$5 (Canadian), NZ$5 (New Zealand), E£5 (Egypt). £ and $ without prefixed letters denote the British pound and US dollar, respectively. Use € for the euro. 04:00, 18:55 (use the 24-hour clock only if the context demands it). 4 March 2005 (unless US style is required: March 4, 2005). 500 bc and 750 ad (note the order of the numerals and abbreviations, and the use of small capitals). Periods of time are not treated as measurements unless technical/scientific usage demands otherwise. Examples: one hour not 1 h, three days not 3 days. The passive should be used sparingly to avoid repetition of ‘he or she’. The use of ‘they’ to encompass ‘he or she’ is permissible. Do not use ‘he’ (or ‘she’) to encompass ‘he and she’. If a gender-neutral expression can be used easily (work-hours for man-hours), then do so. use ‘African-Caribbean’, ‘African British’ or ‘black British’ instead of ‘Afro-…’. In URLs, omit ‘http://’ if the URL starts with www. No capitals for ‘internet’, ‘web’ and ‘website’. Titles of books, newspapers, television programmes, etc., are italic but single quotes and roman text are used for articles, chapters and other parts of larger works. Example: ‘A Scandal in Bohemia’ is the first of the short stories in The Casebook of Sherlock Holmes. Unusual foreign words are italicised. Example: vendange, but salami. If in doubt, don’t italicise. For usage, follow Hart’s Rules. Variables in mathematics are italic. Italics are permissible for emphasis. Example: He was being economical with the truth. Displayed lists can be numbered or bulleted. The text preceding a displayed list usually (but not necessarily) ends in a colon. the last point in the list does finish with a full point. If the list does not start with a colon (e.g. a standalone list or one following a full stop) or if each bullet is a proper sentence, the first letter of each entry should be capitalised, and each should finish with a full stop. Text directly following lists: flush left unless a new paragraph is being started. 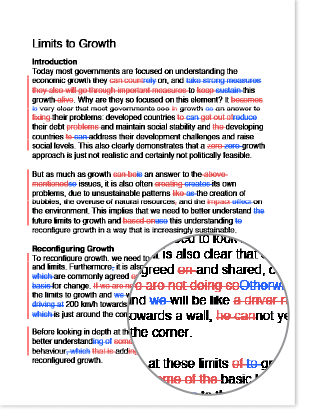 Flush left paragraphs must be identified as such for the typesetter. Spell out one to ten. Other numbers are in figures. Use a comma in numbers over 9999. Millions, etc., can be spelt out or be numerals, depending on the context. Indices are acceptable in technical usage. Example: 1,500,000, 1.5 million, 1.5 × 106. Use a hyphen for spelt-out numbers between twenty-one and ninety-nine. Numbers starting sentences in normal text (i.e. excluding tables and similar) are spelt out. Numbers and words in the same sentence may be mixed. Example: He had previously owned two cats, but found himself in charge of 11 dormice. Fractions: if spelt out, use a hyphen. Percentages should always be expressed as a number. Examples: 2 per cent, 22 per cent. Use ‘per cent’ (‘percent’ if imposing US style). % is permissible in tables and illustrations. Decimal points are on the line, not raised. Units are separated from the numeral by a space, and use the solidus (if units use indices and you think that these should be retained, query Wordy). Examples: 60 kg, 4 cm, 15 hp, 48 Mb, 10 m/s2. Use metric units in preference to Imperial, unless the context demands otherwise (e.g. if imposing US style). It may sometimes be appropriate to add the metric equivalent or the conversion factor in parentheses. e.g. if an Imperial unit is unfamiliar to the target audience. Inches are abbreviated to in. (note the point), feet to ft (do not use ‘ and “). Examples: 3:00–5:15 p.m., 1440–1500, pp. 123–44. Capitalise only when part of a recognised geographical place name. Examples: West Coast, North Carolina, north Somerset. No full points in abbreviations. Use quotation marks for excerpts from speeches, books, etc., but if a word or phrase is being defined or discussed, use italics. Follow the style of author if consistent. Otherwise, example styles are provided below. Name/date (‘Harvard’) style. References should be listed in alphabetical order. ‘St’ and ‘Mc’ are treated as if spelt ‘Saint’ and ‘Mac’, respectively. References with the same first author are listed in the following order: single-author references (in date order), then references with two authors (in alphabetical order), then references with three or more authors (in year order). References with the same authors and year are differentiated by appending ‘a’, ‘b’, etc., to the year (ensure the text citations are also differentiated accordingly). Numbered (‘Vancouver’) style. References are listed in the order in which they are cited in the text. The following provides a general style for citations (the actual style may vary depending on a particular job, the author’s style, etc.). If the references use the numbered style, the list should be in numerical order, and the entries preceded by the number and a full stop. Liu, P. C. and Smith, A. P. (1991). Damage to concrete structures in a marine environment. Journal of Materials and Structures 24(142), 302–307. Taylor, H. F. W. (1990). Cement Chemistry, 2nd edn. Academic Press, London, vol. 2, pp. 390–394. Taylor, H. F. W. (1990). Properties of slurries. In: Cement Chemistry (eds D. W. Smith and A. Jones), 2nd edn. Academic Press, London, vol. 2, pp. 390–394. Collins, F. G. and Kirk, G. A. (1994). Electrochemical removal of chlorides from concrete. Proceedings of the International Conference on the Rehabilitation of Concrete Structures, Paris (eds D. W. Smith and F. Lewis). Thomas Telford, London, pp. 2–30. Bloggs, J., Taylor, H. F. W. and Diamond, S. (1997). Properties of concrete. Proceedings of the 9th International Conference on Soil Mechanics. Dundee, pp. 22–28. British Standards Institution (1995). A Study of Breakdown in Concrete. BS 4486:2. BSI, Milton Keynes. Bloggs, J. (1995). A Study of Breakdown in Concrete. RTa 54a. American Society for Testing and Materials, Philadelphia, pp. 1–10. Bloggs, J. (1996). A Study of Breakdown in Concrete. Report STP 67. American Concrete Institute, Detroit, pp. 1–10. Bloggs, J. (1995). A study of breakdown in concrete. PhD thesis, University of Sussex, Brighton. Use full punctuation (commas and semicolons). Example: Smith and Blackheart (1990) reported previous findings (Ramones and Blondie, 1978; Jett et al., 1979). Cite in alphabetical order if more than one citation within parentheses. Combine citations differing only in the year. Example: (Smith and Jones, 1991a,b, 1995; Zither et al., 1978, 1990). Numbers can be either enclosed in square brackets or superscript. In both cases, the numbers are separated by commas without a following space. Elide ranges. Example: [8,12–15] not [8,12,13,14,15]. Only brief guidance is provided here for commonly encountered areas of science. Follow the norms for each particular scientific field, and refer to the Oxford Dictionary for Scientific Writers and Editors and similar publications. Do not capitalise laws, etc. Example: Newton’s first law of motion not Newton’s First Law of Motion. ensure that superscripts and subscript numbers are used correctly in formulae. Examples: (S,S)-trans-(R,R)-trans-1,2-dichlorocyclopentane, CO2, H2O, Mg2+. > and < when used as prefixes are closed up to the following numeral, but are spaced when used as operators. check that drug dosages do not have obvious errors (e.g. the decimal point in the wrong place). ‘species’ is sometimes abbreviated to sp. (singular) and spp. (plural) – these are roman not italic. Example: The English oak, Quercus robur, belongs to the family Fagaceae. Word processors often insert spurious superscripts in degrees (1st, 2nd, 3rd …): remove these superscripts unless the context demands otherwise. Ensure common chemical formulae use subscript numbers. Examples: CO2, H2O, O2, NOx. In brackets, after the name and address. Stokes … DH22 3EL (0121 123 4567). Stokes … DH22 3EL (tel./fax 0121 123 4567). Stokes … DH22 3EL (tel. 0121 123 4567, fax 0121 123 9876). Overseas numbers begin with a plus sign and the country code. Example: +49 4106 3797 not 01049 4106 3797. Follow company usage in running text on, for example, their website, do not follow the logo if that is different. Use lower-case initials in general. Examples: John Smith, the managing director of Glaxo; the bishop of Winchester; the chief executive was present. Job descriptions such as ‘managing director’, ‘trustee’ and ‘chairman’ routinely take lower-case initials even when the company is referred to. Example: the managing director of ASDA. Publication titles: italic with major words taking an initial capital; the word directly following a colon also takes an initial capital. Newspapers and journals: inclusion of ‘the’ in the title follows usage by the publication itself. Examples: The Bookseller but the Guardian (as in its own style guide). Treat as singular unless the context absolutely demands a plural verb. Examples: The choir was due to appear in the concert. The team is in good spirits, they expect to win. Ensure correct usage, i.e. ‘fewer’ for countable nouns and ‘less’ for uncountable. Examples: There are fewer cars on the road nowadays. There is less traffic at night. Both are acceptable in the correct context. Examples: The book has ten chapters, none is relevant to our immediate concerns. Many people are watching the end of this exciting game, none are willing to leave early. Ensure the correct use of words with irregular plurals such as ‘phenomenon’ and ‘criteria’. Use ‘that’, ‘who’ and ‘whom’ to introduce identifying (defining, restrictive) clauses; no punctuation before the pronoun. Use ‘which’, ‘who’ and ‘whom’ to introduce non-identifying (non-defining, unrestrictive) clauses; use a comma before the pronoun. Examples: He married the woman that he met on the beach. He married the woman, whom he met on the beach, after just one week. The marriage, which took place on Monday, was arranged in a hurry. Avoid unless the alternative is consciously echoing Star Trek’s ‘to boldly go’ or is unacceptably clunky or ambiguous. I’d like to really understand philosophy. I’d like to understand philosophy really. These are interchangeable in reported questions, but after a verb use ‘whether’. Examples: She asked if she could go. She asked whether she could go. We discussed whether she could go. He has to decide whether she can go. In relative clauses, ‘who’ refers to the subject of the verb in the clause and ‘whom’ to the object or complement. Examples: She played chess against an opponent whom she had never played before. She played chess against an opponent who came from Dunstable. Examples: once (‘eleven’ in Spanish), genial (‘brilliant’ in German). Follow the style of the author/client as long as it is acceptable and consistent. Bear in mind the target audience (i.e. US or UK): the default style is UK. Punctuation before a quotation should be consistent with the sense of the sentence. Ensure correct usage, i.e. for possession and contractions but not for plurals. In US English it is common to have a capital letter after the colon. However, this is not the case in UK English, except in titles of books, etc. There should be no spaces before or after a colon that is part of a ratio, biblical reference or similar. Examples: We need four people to work on this project: an editor, a translator, a proofreader and a project manager. There was a problem with my bike: the back tyre had a puncture. Semicolons are used to join two sentences or to separate items in a list that consists of grammatically complex items. Examples: Some people are still smoking more than 20 cigarettes a day; others have given up successfully and have not smoked for many years. Employees enjoy many benefits: crèche facilities for children up to the age of three; interest-free loans for season tickets; and an ability to work flexitime and gain up to five extra days leave per year. Do not use a final serial comma (Oxford comma) unless this is the author/client’s style. 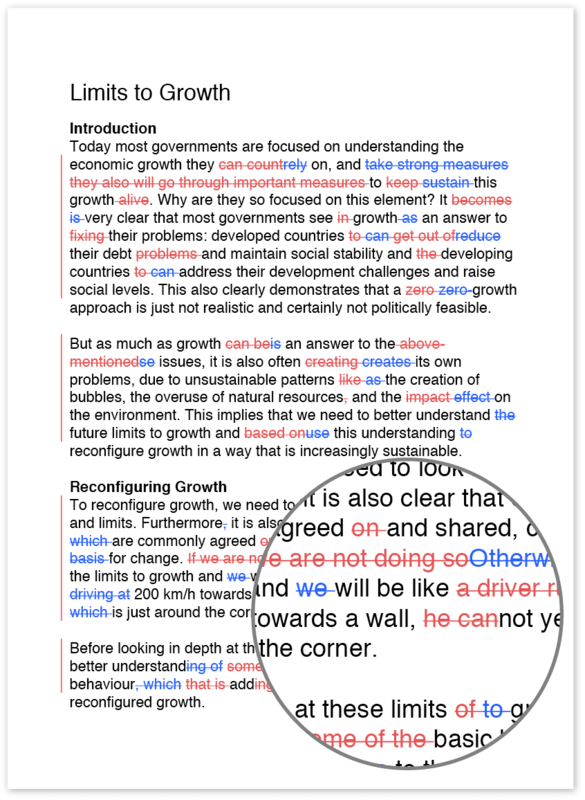 Use to isolate discourse markers such as ‘however’, ‘indeed’ etc. Example: The child was, however, nowhere to be seen. Use spaced en rules for UK style (US style: closed up em rules). At the end of a sentence, use a full point after an ellipsis. use with cross-, mid-, non-, quasi-, self- and side- (e.g. cross-section, non-linear, side-effect). postnominal phrases using the past tense. Examples: electron microscope image, moulded-plastic cup (but stainless steel cup). Hyphenate numbers between twenty-one and ninety-nine. Parentheses (round brackets) are normally used but use square brackets for authorial alterations or insertions in quoted matter. Follow normal conventions for scientific and mathematical texts.